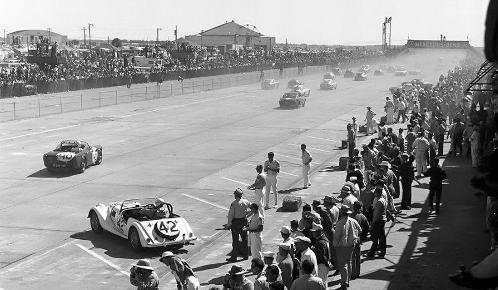 Editor's Comments:First held in 1950, the Sebring 12 Hour is regarde as the premier international road race in America. 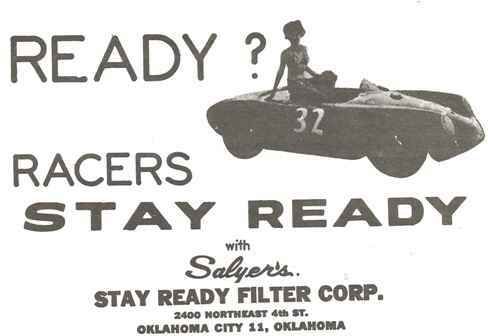 Oklahoma Region's Jerry Salyer and Anatoly Arutunoff planned to assault the 1963 race in Toly's Lancia under the ARCO (Automobile Racing Club Oklahoma) banner. When the Lancia didn't arrive as planned, Toly scratched but Jerry found a ride. This is his story of perhaps the first Oklahoma Region driver at Sebring. To the veteran Grand Prix driver, Sebring is just another race. To me, it was my biggest thrill. We arrived in Sebring Tuesday (before the race on Saturday, March 23) to find Anatoly Arutunoff’s Lancia which we were to drive was still on the boat. To say the least, this was a dark moment. 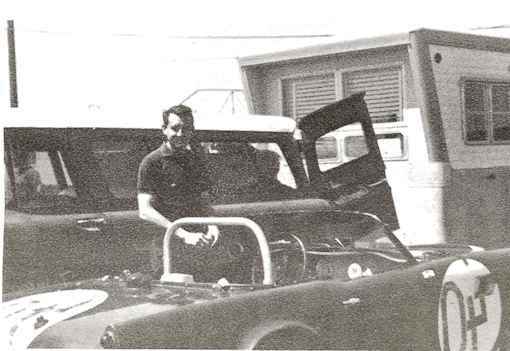 Things began to brighten when we learned Charlie Kolb of Miami, Florida, had a ride in a Porsche and his Twin Cam Triumph might be available. We made a B-line to Charlie’s and after hours of negotiations came out with a ride in #40. After taking our physicals in the trailer near tech, we began practice. Our car had a right-hand drive that took a little getting used to. The 5.2-mile course is laid out on an abandoned airport. (About 1/3 is thru streets around the hangers.) It’s a busy course. The going really gets fun when you finally get lined out on a sweeping RH bend going right on the ragged edge at about 90 MPH and a Ferrari passes you like you were standing still. Night practice was also a new experience. Don’t let anyone kid you, high-speed driving lights don’t help that much. Saturday finally rolled around and by 9:30 AM 65 sports and cars were on the starting grid. 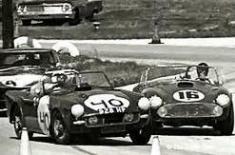 The drivers were lined up for the LeMans start and at 10:00 Jesse Coleman dropped the green flag and the race was on. There were three of us driving #40, Ed Wilson, Bob Hall, and I. Ed made the start and drove the first 2-hour shift, I took the next 2 hours, & Bob followed up. Each of us drove 4 hours and I believe I learned more in those 4 hours than in all the rest of my racing combined. After 1O hours, the clutch ceased to release and we completed the race in third gear, finally finishing 27th OA and 5th in class.